B.Sc.A. 1983 University of Saskatchewan. Effect of Forest Management and Climate on the C-balance of sub-Boreal forests. I have many on-going projects exploring the ways in which past, current and future forest management as well as climate and environment can influence carbon storage in sub-boreal and boreal landscapes. My lab utilizes soil, leaf, ecosystem (chamber, Bowen-ratio, Eddy flux) level gas-exchange to determine fluxes of CO2, dendrochemistry (e.g. stable isotopes) and dendrochronology, as well as standardized protocols and methods for assessment and modeling of carbon stocks. Recently, I've been exploring the way in which forest-products and end-uses (e.g. bioenergy) can affect net C storage. Impacts of Forest Management and Stand Attributes on Forest Diversity and Ecosystem Function. This work is attempting to understand the way in which forest management influences forest diversity, and in turn the ecosystem consequences of this diversity and alterations in it. Much of this work has related to lichen and non-vascular (NV) plant importance to sub-boreal forests. The lichen and NV-plant floristics change significantly across the landscape, and from clearcut to old-growth. My lab has recently been using stable isotopes and specifically, the natural abundance of 15N to determine the significane of cyanolichens such Lobaria pulmonaria in the N balance of sub-boreal forests. Most recently, I've been investigating the ecology and physiology of sub-boreal mixotrophs (plants obtaining some of their C from other plants) and carnivorous plants in central BC. Sustainability at Canada's "Green University". I strongly believe that Universities should be leading the way in all aspects of sustainability - research, teaching, outreach, and operations. While my overall research record has long addressed sustainability issues in natural ecosystems, I now see a strong need for sustainability research in human-built environments. As such, I continue to serve on UNBC's Green University Planning Committee (GUPC - since 2007), as program committee member for the Pacific Institute for Climate Solutions (PICS) and am involved in collaborative research projects that address the sustainability of our campus. Kobylinski A, Fredeen AL. 2014. Vertical distribution and nitrogen content of epiphytic macrolichen functional groups in sub-boreal forests of central British Columbia. Forest Ecology and Management 329:118-128. Mathys A, TA Black, Z Nesic, G Nishio, M Brown, DL Spittlehouse, AL Fredeen, R Bowler, RS Jassal, NJ Grant, PJ Burton, JA Trofymow, Meyer G. 2013. Carbon balance of a partially-harvested mixed conifer forest following mountain pine beetle attack and its comparison to a clearcut. Biogeosciences 10:5451-5463. Campbell J, P Bengtson, AL Fredeen, DS Coxson, Prescott CE. 2013. Does exogenous carbon extend the realized niche of canopy lichens? Evidence from sub-boreal forests in British Columbia. Ecology 94(5):1186-1195. Matsuzaki E, P Sanborn, AL Fredeen, CH Shaw, Hawkins C. 2013. Carbon stocks in managed and unmanaged old-growth western redcedar and western hemlock stands of Canada's inland temperate rainforests. Forest Ecology and Management 297:108-119. Smyth D, AL Fredeen, Wilkening K. 2013. Sustainability at Canada's Green University(TM): The Greening of the University of Northern British Columbia. The International Journal of Environmental, Cultural, Economic and Social Sustainability 8(4):37-49. Bowler R, Fredeen AL, Brown MG, Black TA. 2012. Residual vegetation importance to net CO2 uptake in pine-dominated stands following mountain pine beetle attack in central British Columbia, Canada. Forest Ecology and Management 269:82-91. Brown MG, Black TA, Nesic Z, Fredeen AL, Foord VN, Spittlehouse DL, Bowler R, Burton PJ, Grant NJ, Lessard D. 2012. 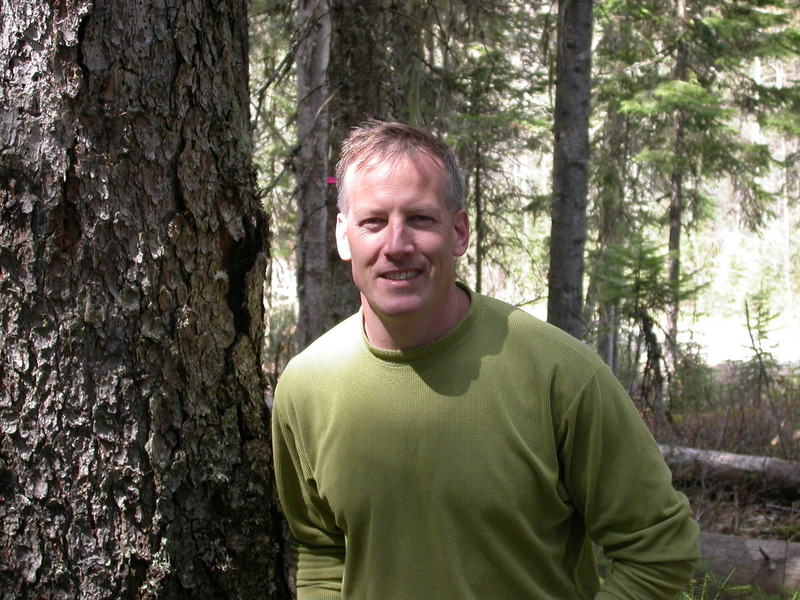 The carbon balance of two lodgepole pine stands recovering from mountain pine beetle attack in British Columbia. Agricultural and Forest Meteorology 153:82-93. Janzen D, Bois CH, Sanborn PT, Wheate RD, AL Fredeen. 2010. Spatial and temporal modeling of carbon stocks using Landsat TM/ETM+ for a sub-boreal forest. Canadian Journal of Remote Sensing. 36(4):374-390. Bruzzese BM, Bowler R, Massicotte HB, AL Fredeen. 2010. Photosynthetic light-response in three carnivorous plant species: Drosera rotundifolia, D. capensis and Sarracenia leucophylla. Photosynthetica 48(1):103-109. Smyth D, Fredeen AL, A Booth. 2010. Reducing solid waste in higher education: the first step towards 'greening' a university campus. Resources, Conservation and Recycling. 54:1007-1016. Campbell J, Bradfield GE, Prescott CE, AL Fredeen. 2010. The influence of overstorey Populus on epiphytic lichens in subboreal spruce forests of British Columbia. Canadian Journal of Forest Research. 40:143-154. Brown M, Black TA, Nesic Z, Egginton V, Spittlehouse DL, Fredeen AL, Grant NJ, Burton P, JA Trofymow 2010. Impact of the mountain pine beetle attack on the carbon balance of lodgepole pine stands in British Columbia. Agricultural and Forest Meteorology. 150:254-264. Carson AW, Rea RV, AL Fredeen 2009. Compensatory shoot growth in trembling aspen (Populus tremuloides Michx.) in response to simulated moose browsing. Alces 45:101-108. Bois CH, Janzen DT, Sanborn PT, AL Fredeen 2009. Contrasting total carbon socks between ecological site series in a sub-boreal spruce research forest in central British Columbia. Canadian Journal of Forest Research. 39(5):897-907. Botting RS, Campbell J, AL Fredeen 2008. Contrasting arboreal and terrestrial macrolichen and bryophyte communities in old-growth sub-boreal spruce forests of central British Columbia. The Bryologist 111(4):607-619. Campbell J, AL Fredeen 2007. Contrasting the abundance, nitrogen and carbon of epiphytic macrolichen species between host trees and soil types in a sub-boreal forest. Canadian Journal of Botany 85:31-42. Carson AW, Rea RV, AL Fredeen 2007. Extent of stem dieback in trembling aspen (Populus tremuloides) as an indicator of time since simulated browsing. Journal of Range Management. 60:543-547. Fredeen AL, Waughtal JD, TG Pypker. 2007. When do replanted sub-boreal clearcuts become net sinks for CO2? Forest Ecology and Management 239:210-216. Janzen, DT, Fredeen AL, RD Wheate. 2006. Radiometric correction techniques and accuracy assessment for Landsat TM data in remote forested regions. Canadian Journal of Remote Sensing. 32(5):330-340. Botting RS, AL Fredeen 2006b. Net ecosystem CO2 exchange for moss and lichen dominated forest floors of old-growth sub-boreal spruce forests in central British Columbia, Canada. Forest Ecology and Management 235:240-251. Botting RS, AL Fredeen 2006a. Contrasting terrestrial moss, lichen and liverwort diversity and abundance between old-growth and young second-growth sub-boreal spruce forest in central British Columbia. Canadian Journal of Botany 84(1):120-132. Fredeen AL, Bois CH, Janzen DT, PT Sanborn 2005. Comparison of coniferous forest carbon stocks between old-growth and young second-growth forests on two soil types in central British Columbia, Canada. Canadian Journal of Forest Research 35:1411-1421. Fredeen AL, Hoekstra KT, RW Madill 2004. Primary longitudinal resin canals in lodgepole pine occur in Fibonacci numbers. Canadian Journal of Botany 82:1539-1544. Campbell J, AL Fredeen 2004. Lobaria pulmonaria abundance as an indicator of macrolichen diversity in Interior Cedar hemlock forests of East-Central British Columbia. Canadian Journal of Botany 82:970-982. Fredeen AL, Horning JA, RW Madill 2002. Spiral phyllotaxis of needle-fascicles on branches and scales on cones in Pinus contorta Dougl. Ex Loud. var. latifolia Engelm. : Are they influenced by wood-grain spiral? Canadian Journal of Botany 80:166-175. Pypker TG, AL Fredeen 2002. The growing season carbon balance of a sub-boreal clearcut five years after harvesting using two independent approaches to measure ecosystem CO2 flux. Canadian Journal of Forest Research 32:852-862. Pypker TG, AL Fredeen 2002. The growing season carbon balance of a sub-boreal clearcut five and six years after harvesting. Agricultural and Forest Meteorology 114(1): 15-30. This course explore the relationships of the environment to organism(s), including principles of plant and animal ecology, population ecology, community ecology, ecosystems and processes, global ecology, and human ecology. This M.Sc.-level course provides detailed information about how to make effective oral, poster and other types of presentations along with opportunities for graduate students to create and deliver as well as critique and evaluate presentations. Terrestrial plant ecology with an emphasis on higher plants over a range of spatial (sub-cellular events to global scale environment) and temporal (second to millenial) scales. A required course for all NRES Ph.D. students where we examine the roles and limitations of the natural sciences in understanding and managing our environment and natural resources. This course is taught along side NRES 802, which explores the importance of social sciences and humanities in reaching equally important understandings. This is a new (2010) team-taught course that brings societal and environmental relevance to the disciplines of plant physiology (how plants function metabolically) and plant struction and anatomy. Labs are student driven. This course is open to upper division students from the social and natural sciences wishing to explore how we might solve some of the most pressing environmental problems we're currently facing. We provide a common policy and science understanding and vocabulary to all students wanting to be play a positive role in a sustainable future.